In the days following the terrorist attacks on September 11, 2001, President George W. Bush announced that he would create the DHS and that it would be responsible for creating a national strategy that would prevent any future terrorist attacks. During the years following 9/11 the DHS was primarily focused on preventing any further terrorist attacks. However, in 2005 Hurricane Katrina struck the Gulf Coast region inflicting an enormous amount of loss of life and property damage. Hurricane Katrina was so devastating that it has been described as the most catastrophic natural disaster in the history of the United States. The federal response to the disaster area was woefully inadequate to say the least. 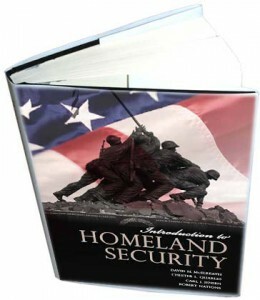 As a result of Hurricane Katrina, the DHS has included an “all-hazards approach” to homeland security which includes natural and man-made disasters as well as responding to and preventing terrorist attacks. The United States Department of Homeland Security is comprised of twenty-two federal agencies and employs approximately 180,000 employees. The DHS organizational structure includes a wide-range of responsibilities ranging from emergency management, intelligence analysis to border and transportation security. The DHS offers many diversified career opportunities. It is strongly advised that anyone interested in a career with DHS should visit their website at www.dhs.gov. For more detailed DHS information please refer to the below listed web sites.